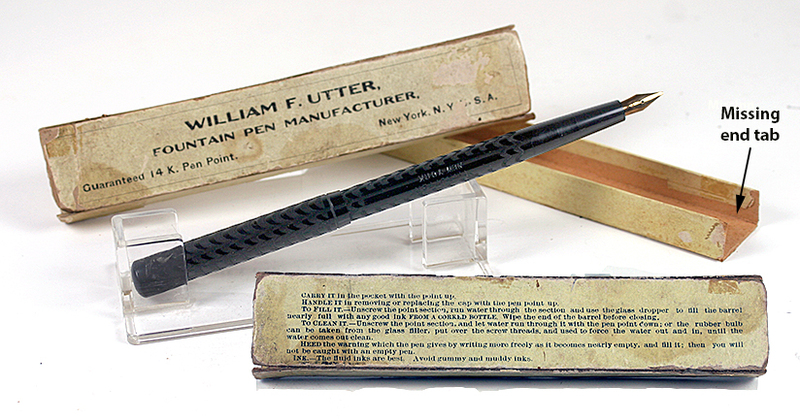 This 1905 William F Unger fountain pen is a #2 size eyedropper-fill in Black Chased Hard Rubber. Located in NYC, their trademark was registered on or before 1903 as “Wm. F.N.Y. 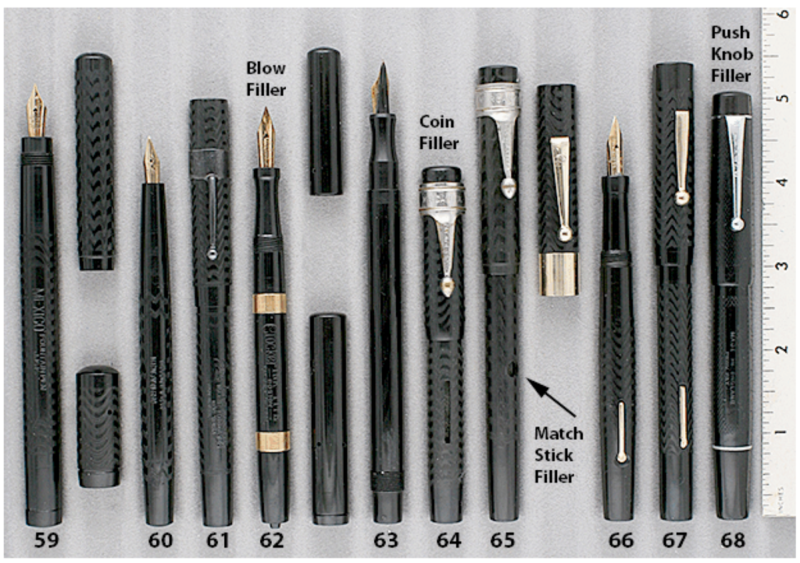 Utter.” Fine, triple-flexible nib, marked only “14K.” New-old-stock. Mint in very threadbare box. Imprint on box cover is “William F. Utter Fountain Pen Manufacturer. Guaranteed 14K Pen Point. New York, N.Y. U.S.A.” Item #60 in Catalog 84.